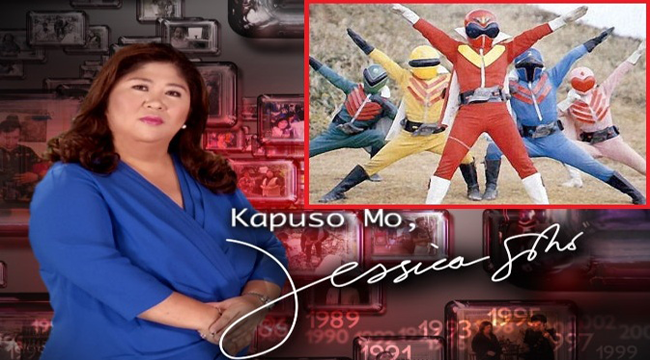 Filipina wife of Red Maskman, Georgette Ann Inaba, expressed great disappointment over the canceled interview by Kapuso Mo, Jessica Soho’s researcher. In her Facebook account, she said that being in a Japanese culture, the couple had no more face to show other Sentai actors. Sentai shows are about a task force usually with members hiding their secret identities in a mask, just like Bioman and Maskman. They are part of a lot of people’s 90’s childhood. For these people, a glimpse of where their favorite superheroes are now, is a chance to be a child they once were. 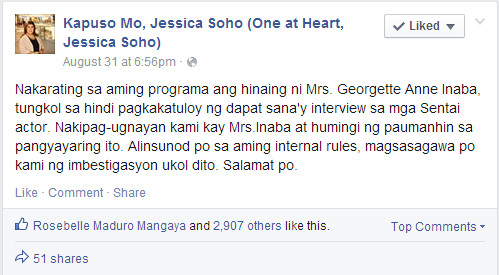 Unfortunately, the chance was blown off big time by the known magazine show Kapuso Mo, Jessica Soho (One at Heart by Jessica Soho). According to the post of Mrs. Inaba, a researcher from the GMA network of the said show asked to interview Inaba Kazunori, her husband, for a segment featuring the current life of the Sentai actors that were once superheroes fighting giant monsters. 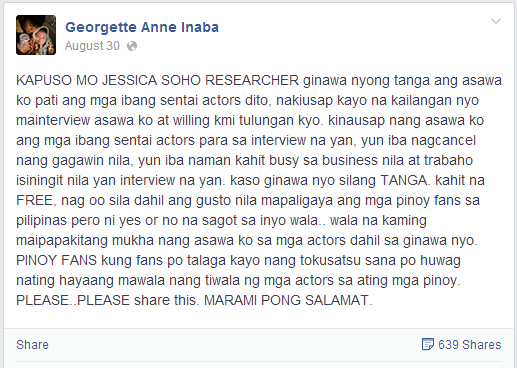 For the sake of the Filipino fans, the couple also personally invited other actors. Some of them were busy, but canceled their business plans to gladly give a free interview that was supposed to be on September 2, 5:00 pm. She said that they, together with their guest, felt st**id. The staff of the show called her and they seemed not informed about the cancellation of the interview. Furthermore, if Mrs. Inaba did not post her feelings on Facebook, she would not get any answers from the management. 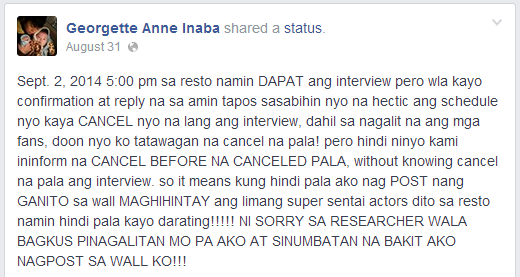 It is said that the interview was canceled due to a full schedule. The researcher even got angry at her about her post. The staff of the show acknowledged the Mrs. Inaba’s concern and responded through their Facebook to express their apologies. They promised to conduct an investigation, according to their internal rules. Meanwhile, in social networking sites, Filipinos expressed their embarrassment on what could be a miscommunication. There are indeed a lot of Sentai fans in us and it would be a heartbreak if the actors idolized by many 90’s kids at heart would think negatively of the Filipinos.